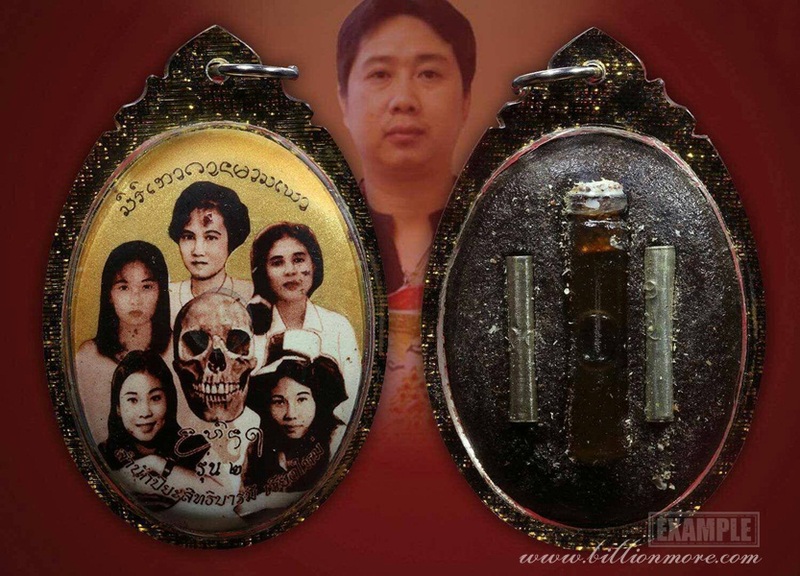 Information: This is the second batch Prai 5 Nang Locket by Arjarn Piyasitthi who is an occult master in Chiang Mai Province (North of Thailand). Material: enameled metallic locket portrayed 5 ladies. Present: the backside filled with magical mass, embedded with double Takrut and a bottle of Prai oil from 5 ladies who were full of love and desires to increase the power. 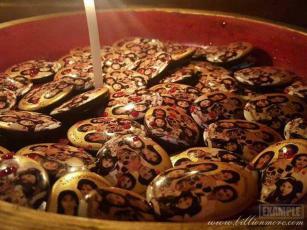 Ceremony: Arjarn Piyasitthi properly consecrated this locket. You can feel safe from reverse bad effects because the master held sacrifice ritual to send merit to spirits he did. Power: This 5 lady-spirit locket is good for charm, love and luck, and moreover can fulfill what owner prays for. 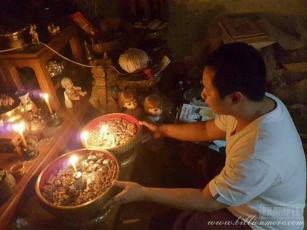 Regularly making merit and sharing to the spirits can ensure the faster result. Arjarn Piyasitthi is an occult master in Chiang Mai Province (North of Thailand). This master opens his own spiritual house named ‘Samnak Piyasitthibarami’ to serve people needing spiritual help. AJ Piyasitthi has collected magical knowledge for a long time following text book and instructors. That can ensure his power.